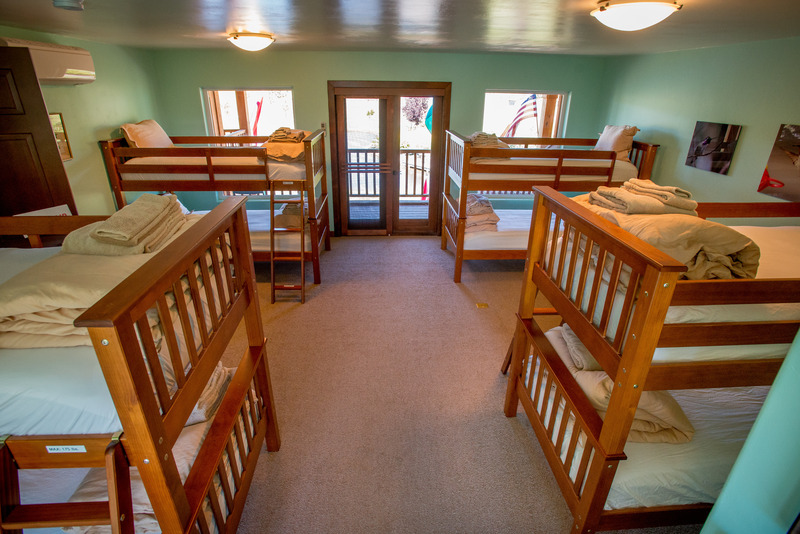 The Hostel is a large room with 4 bunk beds, sleeping up to 8 individuals. There is a bathroom with a shower located inside the room. Windows overlook both the gardens and Mt. Adams with a small deck with seating on the mountain view side.